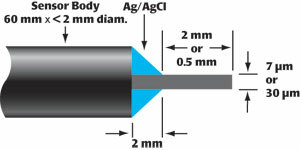 The ISO-NOP007 has a tip diameter of just 7 microns and a length of 2mm. The response is linear over a wide dynamic concentration range of NO. The design is based on a single carbon fiber coated with WPI's NO-selective membrane. A detection limit of approximately 1 nM NO makes this electrode ideal for use in tissues and microvessels. 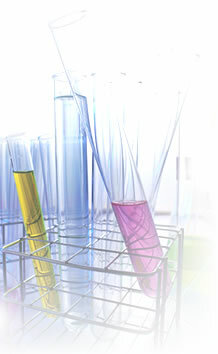 The response of a 7μm NO sensor (ISO-NOP007) to successive additions of NO (100nM). Inset shows the linearity of the resulting calibration plot.